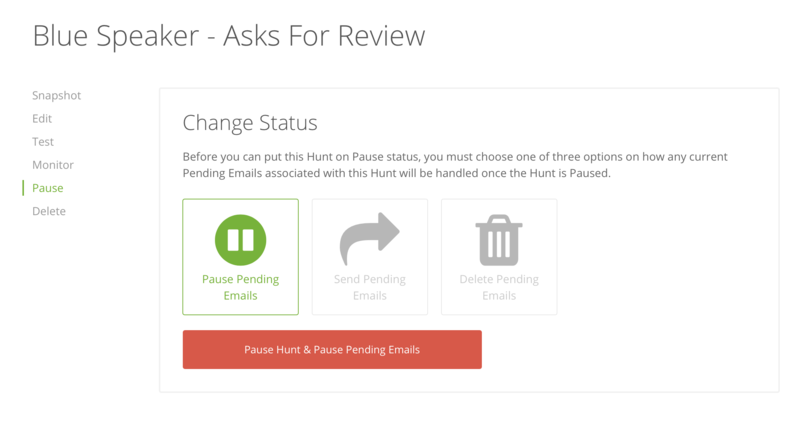 Now you can Pause a Hunt and have three choices on what actions you want to happen with any Pending Emails already created before you Paused that Hunt. For various reasons; you may find yourself having to Pause a Hunt. 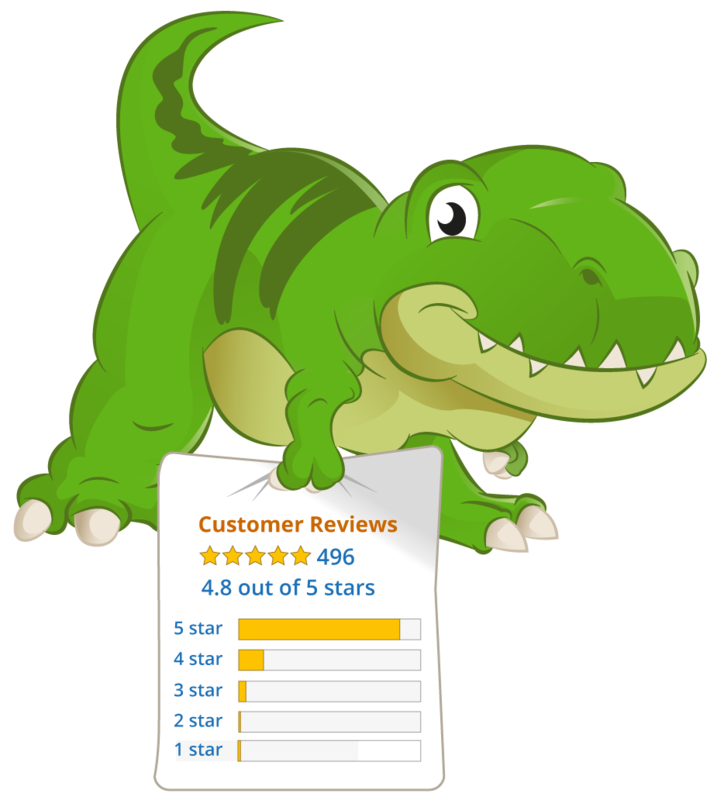 Whether because there was a small mistake, you stopped selling the product, options didn't work as expected, and so on and so on. When you Paused a Hunt before today; any future orders that matched that Paused Hunt would not create a Pending Email.. however, if there was any Pending Emails created prior to it's Pause; those Pending Emails would still be sent out accordingly to it's scheduled time and day. Delete the Hunt which would in result delete any and all Pending Emails associated with the Hunt. All Pending Emails scheduled to be sent by the Hunt will be put on Pause and not send until you decide to come back and activate the Hunt again. Once the Hunt is activated; the Pending Emails that were Paused will then be put into queue to begin sending immediately. And the re-activated Hunt will begin functioning like normal again (creating new Pending Emails as future Orders come in that match it's custom rules). 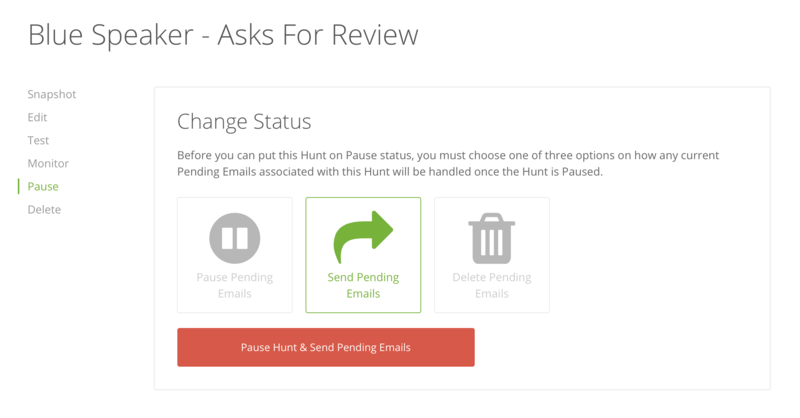 The Hunt will no longer create new Pending Emails for any new Orders that come in and match it's custom rules. However, any of the Pending Emails already created and scheduled by that Hunt will still continue to send accordingly to it's current time and day that it was scheduled for. All and every Pending Email scheduled by the Hunt previous to you Pausing it will be deleted. Obviously; once those Pending Emails delete, it will not be sent. Furthermore, this is a irreversible action and anything deleted cannot be recovered. This is useful when a mistake was made and the Hunt made a bunch of Pending Emails that didn't fit what you wanted to happen; therefore you can select this option to delete those "mistaken" Pending Emails and revise the Hunt (to begin to take effect on future Orders) without having to delete it. Hopefully that explained things fairly well.. but things can get pretty confusing so if anyone has any further questions; feel free to reach out via this Announcement post or in our Support Forums.